L. Danielle Pipkins, B.Msc., C.H. I'm an expectant AMA (Advanced Maternal Age yo! ~ over 35) momma writing from The Lou (St. Louis, MO), mother to a tween and a tween, newly married and a love-a-holic!! I'm a plethora of tidbits expressing my Self in this Universe in whatever way passion leads me! I'm blessed to have a beauty FULL family, an amazing husband (seriously, not just saying that! ), two wonderful kids and a precious baby in making who will be done baking this July (hopefully)! More about Leslie: Leslie Pipkins is the Author of one book, a freelance and e-book writer and has contributed to many online publications. Additionally, she is a philosopher, healer, counselor, visionary, and working on her Doctorate in Metaphysical Science. She is also earned the title Reverend as part of her studies. Yep, that's right! When you have those moments where your entire being is vibrating at an all time high due to the complete clarity, synchronistic events, and the realization that you truly are, at every moment, the Creator of your own entire life; you are, from personal experience, riding the waves of the Buzz of Bliss! There are no moments alike. Each one has it’s own piece of Divine stuck to it. You can truly magnify this Bliss as much or as little as you would like to. This is different from when I say ‘follow your bliss’. Bliss is the same as Love. Do you know how to raise your vibration? Do you know what causes your vibration to lower? p.s. I always inclue a link to our webstore, Eleven Hands Gifts, underneath my name. Our store specializes in really AMAZING Gift Packages (gift baskets), one of a kind really. We also sell books, journals, INCENSE, and many Metaphysical Products. Come by and visit us today! We are committed to customer service and putting a smile on your face! Wow! The Universe is absolutely freaking AMAAAAZING!!!! ASK. and. you. SHALL. receive. The Power in Manifesting is what I’m talking about. Heard about it? Tried it? If not, I urge you…I mean I URRRRGE you to begin. You will find a lot of this information around the internet and in the book/video The Secret. However, a lot of these publications and offerings are missing a HUGE link, a very very important detail. They omit something that can’t be omitted!!!!! I’ve figured it out, after years and years and years on my journey. Guess what? Some fantastic things have manifested almost instantaneously. I’m talking, a couple of days, a few hours, even MINUTES in this past week alone. If I sound excited, it’s because I am!!!!! If you want more information, please email me at Leslie@ElevenHands.com. I will send you some free information. These manifestations are helping me to grow in every way. Personally, business wise, and the new book I’m working on is being helped with this as well!!! Do you live your life with passion? Do you live your life with purpose? Do you follow your bliss? You know you are following your bliss when you wake up each morning with joy in your heart and when whatever you are doing feels yummy! When you stray from that path you will be in a negative mindset, you will let life get you down, and that cycle will roll with you. You can re set yourself instantaneously by acknowledging you have slipped from your joy and decide to delve back into true life! Everything. Is. About. Starting. Over. Think. About. It. For. A. Second. Every. Nanosecond. Is. A. New. Nanosecond. Every. Breath. Is. A. New. Breath. Every. Blink. Is. A. New. Blink. Every. Swallow. Is. A. New. Swallow. Writing in that way was just a way to get you to think. There may be a part of you that doesn’t get it. Or, on the contrary, there may be a part of you that feels the truth in those words. You don’t have to be who you were a second ago. You have the choice to make a change. NOW. If you want. If you don’t want to change that’s fine as well. I personally like and fear change at the same time. You can’t move forward if you don’t embrace change though. Everything around you will continue to turn and move and evolve without you while you stay stuck if that is what you want. Some people actually DO want that. Not me! Hello there. I had this huge blog going on here. I started it while I was pregnant with Love Number 3. LN3 was born on July 14th, 2012. LN1 and LN2 were born 16 and 13 years ago, respectively. So as you may see, there is quite a large gap there between babies! LN3 was born from my new marriage! We were married in October of 2011, and he is the H in my eart!! True! Love of my life. Biggest Love. Ever. He also has 3 daughters from a previous marriage. Two of them have families of their own, and I am a grandma, already!! The third of his daughters is also out on her own. They are all growed up! I’m not really going to call our babies by letters and numbers. That was just for kicks. But I do see that people do that alot, and I respect their choice, given that it is mostly and probably, all about privacy. To me though, I’m putting everything out in outerinternet space so, do I really have any privacy any how? LN3’s name is Olivia. We call her Livi, and I’ll post a picture soon of how adorable she is. I’m 37 and my husband is 43. This is all new for us. Everything is new for us. In fact, I started this blog all over again, because in a way, life is about renewal. Every. Single. Day. 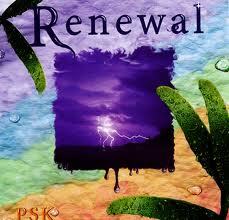 My next post will be about renewal. Stay tuned.